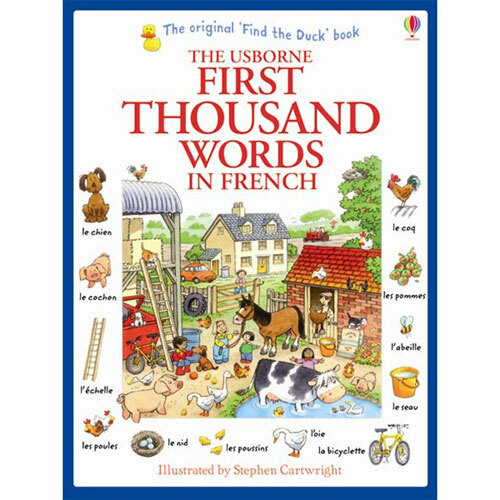 The Usborne First Thousand Words in French serves as a comprehensive illustrated vocabulary-builder, teaching 1000 new French words. 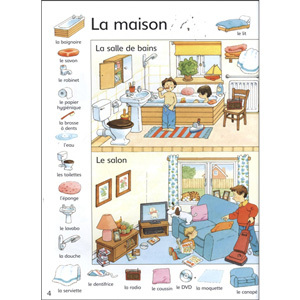 Each object in the book is clearly labelled with its French name (including definitive article) and an alphabetical French / English list of all the words used is provided at the end of the book, together with an easy-to-use pronunciation guide. 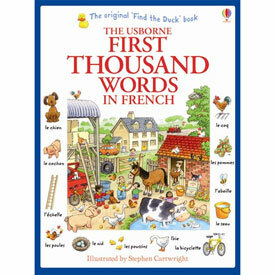 The Usborne First Thousand Words in French is suitable for children who are learning French as an additional language. It is aimed at ages 5+.